Welcome to The Riverdale Review, a continuing series on the ever-popular television drama, Riverdale. Each episode brings as many questions as it provides answers, so let’s dive in and talk about the most recent episode, The Master! Riverdale’s four main characters, Betty, Veronica, Archie, and Jughead, are the subject today. Though ever together in our hearts and minds, this week’s Riverdale episode The Master gives each of our four favourite characters a separate storyline. Veronica has been torn between her loyalties to her parents since last week. She has always held these loyalties close, and never relinquished them lightly, so it is predictable when this week for her is all about finding a way to bring them together again. Veronica discovers that Hermione is being shunned by Hiram. His big prison is finally ready to open, and her mother isn’t being invited. Their marriage troubles aside, Hermione is the mayor of Riverdale. Her absence would be a sign to business associates of Hiram’s (friends and enemies alike) that Hermione is weak. Moves she has made as Hiram’s wife, and on Hiram’s behalf, have made her as much of a threat as her soon to be ex-husband. Veronica pleads with her parents to change their minds, but these fears are realized when Hermione returns to her office late one night. There, she discovers a package on her desk containing two raw, gutted fish. Terrified, Hermione confides in her daughter that she is sure this is a sign from the other mob bosses. That she has been marked for death. Veronica is set on a warpath and uses the incident to convince Hiram that he shouldn’t push her to the side and send a clear signal to their enemies that she is no longer protected. Relinquishing this stand, Hiram allows Hermione by his side at the prison’s grand opening. He isn’t a complete fool, however. Hiram confronts Veronica later that night and reveals that he knows her secret. She sent her mother the dead fish. She wanted to get them together in public, pretending to be happily married, in the hopes that if they pretended long enough, it might become real again. Father and daughter are moved to tears, gleaming in the fire’s glow. Veronica finally admits defeat. At least with an annulment, rather than a divorce, the marriage is over. For Archie, his troubles this episode begin with a call from a friend from juvey, Mad Dog. Mad Dog tells Archie the news that their juvey is being shut down, officially because of the illegal underground boxing matches between inmates. Hiram’s new prison is opening, though, and a wing is being dedicated to juveniles. Everyone is being transferred, including the guards who ran the ring. The boys have the same thought – that they will be reviving the boxing ring in the new prison. 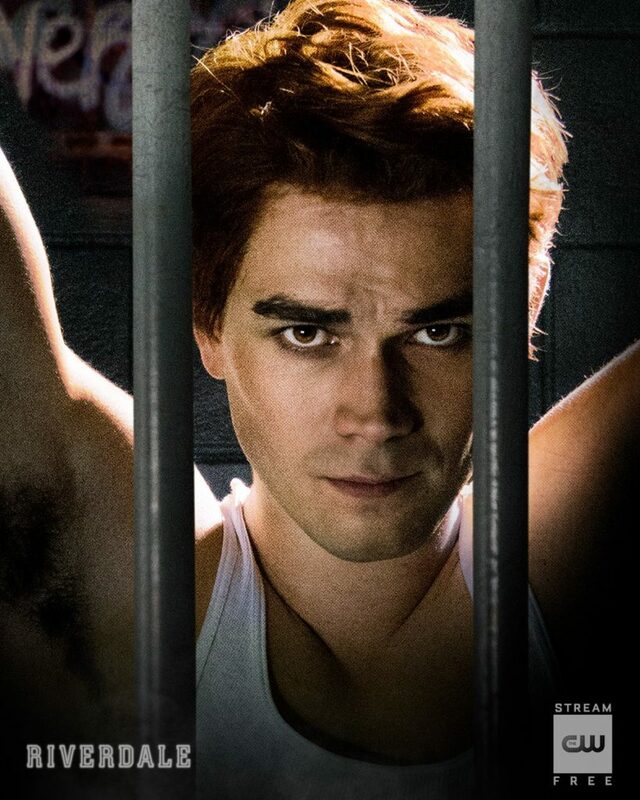 Archie takes in everything Mad Dog says and declares in no uncertain terms that he will not step foot inside Hiram Lodge’s jail. Though the two have been on rocky terms since their breakup, Archie reaches out to Veronica for help. She spent so long trying to have Archie released, he was sure she would have a way to help. Luckily enough, she happens to know that the governor is going to be in town for the opening of Hiram’s prison, and manages to corner him into a meeting with Archie and herself. The pair demand that he pardons the affected inmates immediately or Archie would go to the media with his story of illegal fighting rings with teen boys – which the governor attended himself. The boys are released speedily, thanks to the governor’s fear, and drink in their freedom. Mad Dog goes to find his family, but many of the others have no homes or families to return to. Archie offers them his gym to stay in until they’re on their feet. Their happiness is only interrupted by Elio, the man who set up the rigged boxing match for Archie a few episodes ago. He offers all the boys to work with him at his gym, which Archie refuses on behalf of the group. Unfortunately, Mad Dog doesn’t have so many options that he can refuse such a lucrative one. He finally found his family, who had moved into a crummy apartment surrounded by drug-dealing Gargoyles. Archie insists that they can get the Gargoyles out of the building, but Mad Dog admits to Archie that he went to Elio. That he has a house on the north side in exchange for fighting for him. Despite Archie’s resolution that Elio can’t be trusted, Mad Dog says he has no other good choice, and that he will always be grateful for all of Archie’s help. Back with Betty at the high school, her investigations into the Farm have finally led her into the belly of the beast. The Farm opens for a day to welcome newcomers, which gives Betty the perfect chance to do some sleuthing. During her guided tour, she is pulled off to the side and offered a “quick and easy” farm interview. Betty agrees and finds Evelyn Evernever waiting. After a series of odd questions that Betty gets the sense she did not answer to Evelyn’s liking, she is dismissed. Always determined, Betty is desperate to know more. To this end, she recruits her cousin Cheryl. Though hesitant at first, Cheryl is convinced by the prospect of discovering why Jason was planning on escaping with Polly and their child to the Farm. Equipped with a hidden microphone, Cheryl goes in for her own interview. It starts off inconspicuous but takes a turn when Edgar Evernever takes over for his daughter partway in. 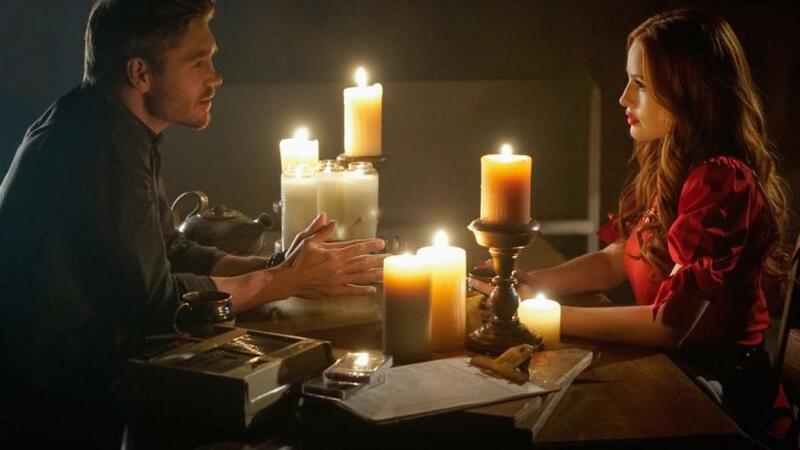 His line of questioning is definitely not scripted, as he gently pushes Cheryl to tell him about Jason and the fog of death she lived under until the end of the first season. Later, when discussing the man with Betty, Cheryl describes him as young, attractive, and a great listener. The far-away look that appears in her eyes is broken in a moment by Betty. It is unfortunately only the beginning of Edgar’s enchantment. Cheryl’s next undercover interview, Edgar leads Cheryl away into another room. One which cuts off the signal to Betty’s equipment. Flustered, Betty attempts to repair it, to no avail. When she finally meets up with Cheryl, her cousin returns the bug and declares that she will no longer be spying on the Farm and will go as a member instead. Convinced that Cheryl must be being blackmailed, Betty uses what she was able to learn about the farm from her bug to break inside and steal the tapes of Cheryl’s interviews (as well as her mother and sister’s tapes). She gives Cheryl hers, but her cousin blissfully responds that she wants to go back. Out of all the people to listen to authority, Betty never thought it would be Cheryl – and demands a reason. Cheryl snaps back that it isn’t about Edgar; it’s about Jason. She reveals that in the room that Betty couldn’t hear, she saw her brother. That he was there, and in the flesh. Gears turn inside Betty’s head as she swallows this information. The next morning, she sets up a meeting with Alice at Pops. Alice seems happy that her daughter reached out, but Betty cuts through small talk to ask: was Alice so loyal to the farm because they let her talk to her long-dead firstborn, Charles? Alice’s surprise is immediately overshadowed by the tears welling up in her eyes, and the cracks in her voice. She admits that she does see her son at the Farm and that the incredible experience is something she wishes she could share with Betty. Betty admits she wants to meet him – she wants to meet Edgar. The two meet each other in a dark room at the Farm. His charisma is only matched by her resolve, and he asks what she wants to know. She responds… Everything. Finally, we join Jughead, whose story starts and finishes this episode. He and the other Serpents train with Tom Keller and F.P. to work as deputies in the field but struggle to work together as a team. Frustrated by repeated failures in practice drills, they take matters into their own hands. Jughead’s investigation into previous drug hotspots turns up mostly nothing until one unlucky comic book owner spills the secret. Drug deals are taking place all over town, not in centralized locations anymore, and are marked by small gargoyle statues hanging on telephone wires. The Serpents are quick to act, taking out one dealer after another. Jughead and a few others are taking out one of the last of them when F.P. jumps from a closed van, furious. Not only were they working outside the law, but they stopped him from tracking the dealer to their cook and their leader. At home, the family argues about it, and Gladys drips poison into F.P.’s ear. She suggests that the deputy program might not be a good idea. 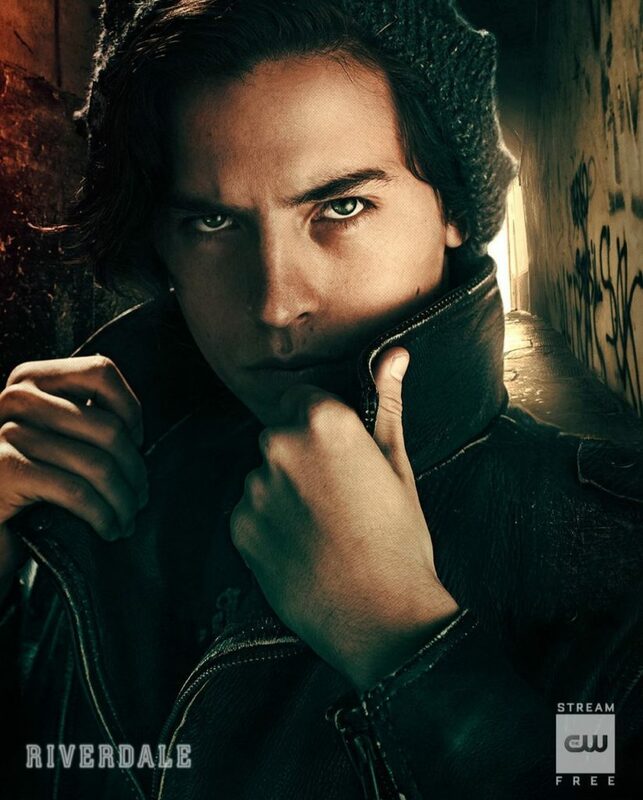 Jughead fights to keep the Serpents’ place as deputies, but F.P. swears that if there is even one more incident, the whole lot is being thrown in jail. Archie is the one to tip Jughead off to the Gargoyle home base, where Mad Dog’s family was living. 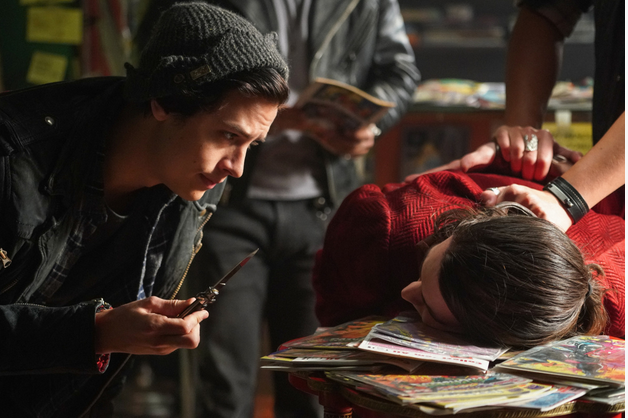 Despite F.P.’s warnings, Jughead mobilizes the Serpents. The Serpents, the boxers, Jughead, and Archie raid the building, knocking Serpents out of rooms as they go. When they reach the upper floors, gunshots at Jughead start an ambush by the Gargoyles. Though the Serpents and crew fight them off, apprehending the cook, Kurtz, isn’t as successful. Being held by the throat by Jughead and escorted downstairs, Kurtz announces he’s ready to ascend. Before Jughead has a moment to process this, Kurtz flings them both out of a window and into the street. They hit the ground with a thud, barely alive, and Kurtz escapes. The next day, a gift is delivered to Archie’s boxing gym. Two G&G goblets, with a quest card reading ‘De-Fang a Wolf Cub’ and a tooth, tinted blue. Archie hesitantly connects it to a missing inmate, Baby Teeth, and the pair grimace. F.P. is the unlucky soul to find Baby Teeth’s body, with all the trademark signs of a G&G death. Blue lips, symbols carved in his back, and hunched over in front of a Gargoyle effigy. Since last week was all about developing relationships, it seems only fitting that this week we further the plot, on all fronts. Every part of this episode finished and/or continued a loose end. Perhaps making up for lost time from last week? I don’t know about you, but getting one heartfelt episode, followed by an action-packed one, is not on my list of complaints. It also keeps things interesting for all of us, the viewers, who can get easily bored with the same routine each week. 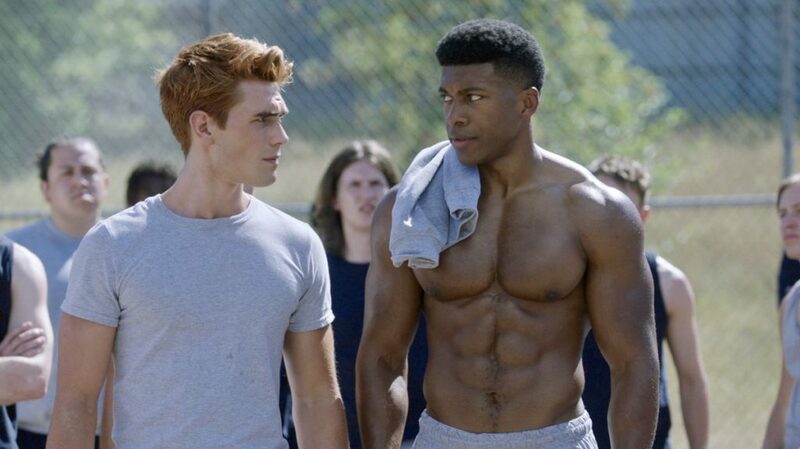 Something that I think has made Riverdale so popular is exactly this spontaneous nature. Each episode jumps between at least three different plotlines. Characters outside of our four main characters flow in and out naturally. This week, we saw none of Josie or Reggie, and only a little of Evelyn and Kevin, but plenty of Cheryl and Mad Dog. Freedom from the predictability of other shows is part of the allure. 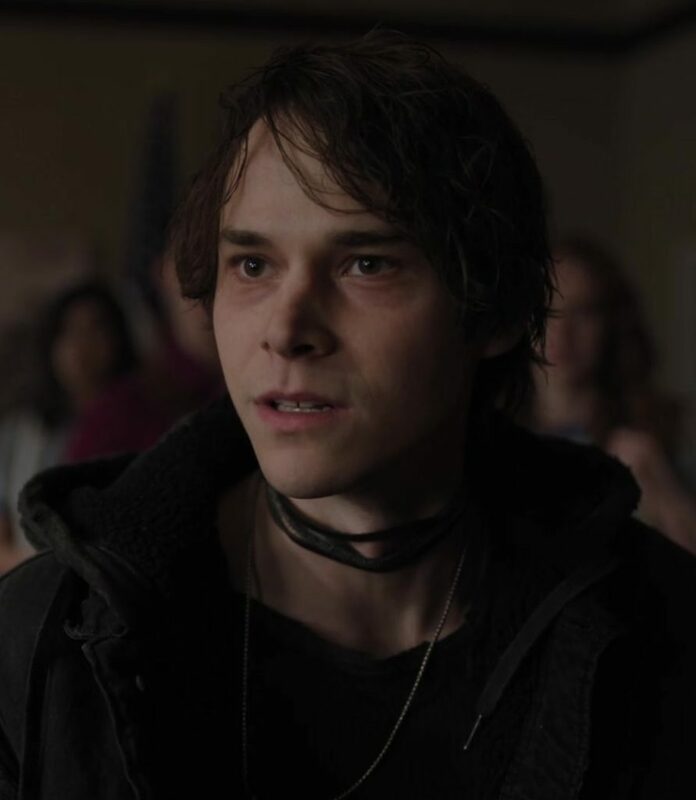 Sometimes that leads to the unconventional, unrealistic, and/or extreme storylines we see that some people condemn Riverdale for. This was even one of my notes on the show as season two was airing. But allowing myself to let go of my expectations and enjoy the ridiculousness of it has been so much more fun than moaning about likelihoods of this or that happening. Speaking of likelihoods, I find myself this week wondering particularly about the Farm. I’ll admit to a small bias because it’s one of my favourite plotlines right now. But after an ending like that with Betty, I think everyone is with me. What is Edgar going to tell Betty? Despite the show’s set up and Betty’s resolve, she doesn’t have much, or any, blackmail material on the Farm, nor is she going to join up any time soon. What is the likelihood that Edgar tells her anything substantial at all? Or maybe the real question is; if the show is setting Edgar up to spill some much-needed Farm secrets, what is his motive? Cheryl’s reveal of the room with her dead brother in it, and Alice admitting that she had seen someone she had lost too sew a common thread through people that have been taken in by the Farm. These people have experienced a tremendous loss in their lives; Cheryl and Polly losing Jason; Alice losing Charles; Kevin losing his mother. Though we’ve learned bits and pieces more about initiations and ceremonies from the Farm, Betty’s obsession (until now) had grown a bit stale. Were we ever going to figure out their motives, or if they had anything to do with G&G? These longstanding questions had been avoided for too long, but the promise of answers has renewed my hope! 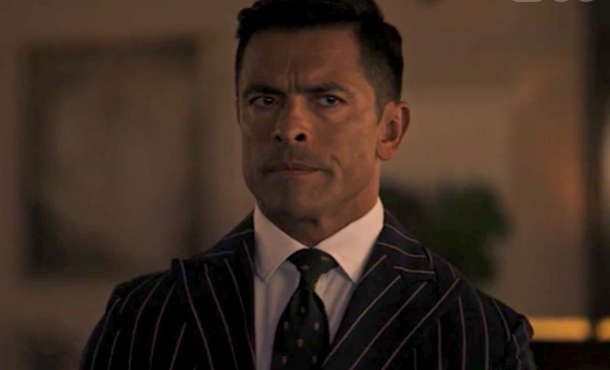 Did you think that Hiram and Hermione were really going to go through with the split? Can Jellybean be saved from her mother’s influence? Last but not least, I’m dying to finally find out some inside information about the Farm, are you? What do you think we’ll discover? Tell us your guesses and thoughts in the comments! Gabbrielle Huston, a.k.a Yavril, is a Canadian based university student with a passion for writing and nerddom. To contact her, please email theyavril@gmail.com. Founded in March 2013, the International Geek Girl Pen Pals Club (aka IGGPPC) was designed to bring together the geek community through shared interests in all things geeky, a love of stationery, and an interest in making friends.